After Newcastle United's huge win away to Huddersfield, Benitez wanted to give his players the credit for a perfect away performance, instead of himself. Rafa Benitez once again put together another perfect away performance as Newcastle United scored with their only big chance of the game while restricting Huddersfield to long-range efforts. The Magpies were difficult to break down and broke on the counter-attack devastatingly, especially for the goal which was only five passes before Salomon Rondon scored. This was the type of performance that Benitez would have been delighted with as his defenders dominated a very physical side in difficult conditions and did not give up any chances. Benitez was delighted with all aspects of the game and wanted people to realise how well his players are playing at the moment. The Spaniard claimed it was a great achievement to get the three points away from home against a very difficult opposition. Benitez told The Chronicle: "The players worked really hard. In the second half, we were much better organised. You have to give credit to our players." "I said so many times this group of players deserves credit and today they came together and worked hard." "The idea was to exploit them on the counter-attack and exploit the space behind them." Despite his side picking up a valuable three points and carrying out his plan to perfection, Benitez still knows his players can offer more. The Spaniard was speaking to Sky Sports about how important the game was both sides: "It was very important for us and them." "To get three points here the way that we did with a very good effort from every player - well, you have to be satisfied." "The way we were defending and playing counter-attack was good, against a good team and a big team physically." 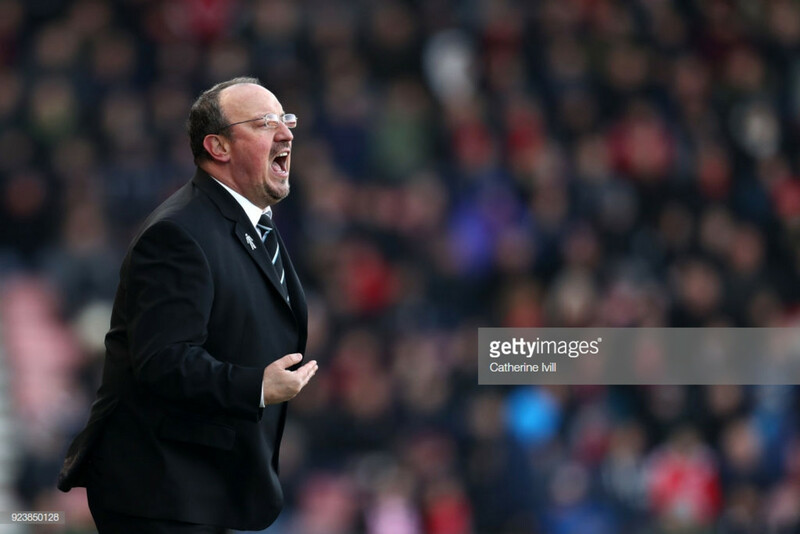 Benitez knows how important the three points were against a relegation rival and with another crucial fixture coming up on Saturday against another relegation rival in Fulham. He told BBC Newcastle: "Every time you get three points, you have a little more confidence." "The pitch was very fast with the rain and we needed to be precise with passing the ball but they were on top of us & we didn’t have the control." "We adjusted a bit in the second half & I said that with two or three passes we can get in behind - that’s what happened."